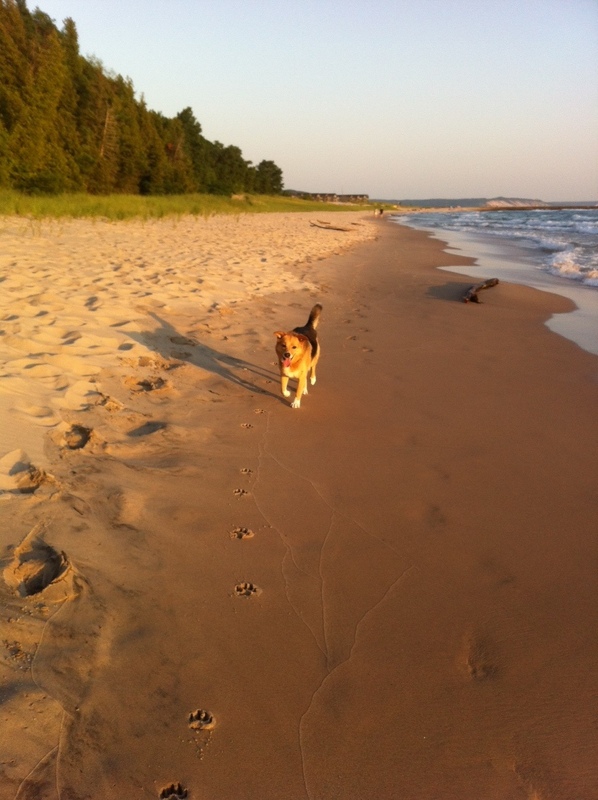 One of life’s simplest pleasures is to take a city dog out of the 108 degree heat and turn her loose on two miles of Lake Michigan beach on a crisp clear 80 degree evening. Hard to imagine Toby any happier than she is at this moment darting in and out of the beach grass and water. If you look closely, that might just be a doggy smile on that mug.